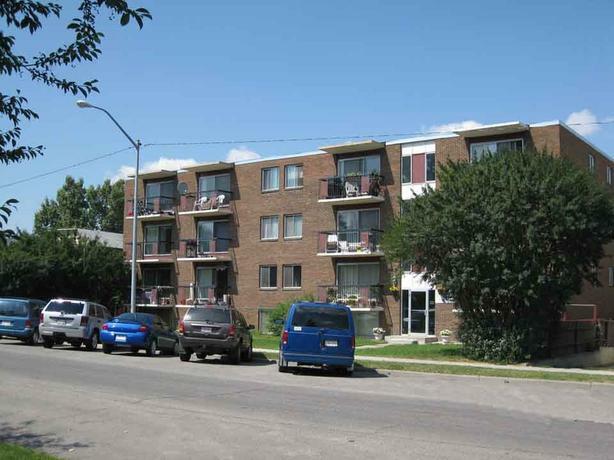 Available now - Large renovated third floor end unit apartment with balcony and dishwasher in newer concrete apartment building. Located in inner city community of Sunalta , 3 blocks to new Sunalta C Train station and 4 min ride to downtown. Bus stop is 1/2 block away. Also close to trendy 17th Ave shopping district. Visit our website http://www.eStreet.ca for further info. Call res mgr Mario 403-861-8568 for viewing appointment. One cat allowed. Also have renovated main flr 1BR apt for $825 available immediately.